We cannot display this galleryThis is Hennessey Performance’s answer to the ‘bar raising’ Dodge Demon. And it’s called, get this, The Exorcist. Not only is that brilliant in five or six completely different ways, it’s also inspired our publishing editor to get tedious with predictable quotes and comments. Buckle up. At the base of The Exorcist is the new Camaro ZL1, or what you could happily call ‘a good start’. More significant though is revised 6.2-litre supercharged ‘LT4’ V8 under the bonnet that punches 1000bhp and 966lb ft of torque, almost one third more than the Camaro ZL1 and, if speculation is to be believed, nearly 250bhp more than Dodge’s Demon. This additional oomph is produced courtesy of a larger supercharger and intercooler system (the latter producing 14 psi of boost pressure), and a custom engine calibration. So yeah, the power compels, and then some. 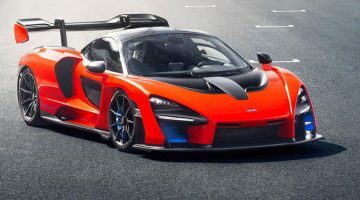 This ungodly – ironically – amount of grunt means the quarter-mile is done and dusted in ‘less than 10 seconds’, while 0-100kph is a green vomit inducing flat three, though whether it will literally make your head spin remains to be seen. The drivetrain is completed with either a six-speed manual or a ten-speed automatic. 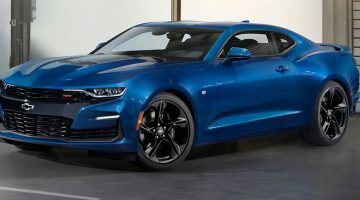 The base cost of The Exorcist 1000bhp upgrade is $55K on top of the price of a standard Camaro ZL1. 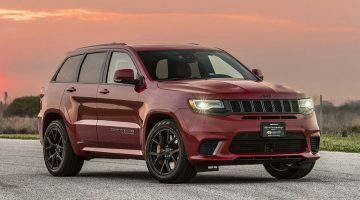 An extra $8,995 though entitles you to the optional drag pack, which adds 315/30 20 Nitto drag radials and drive shaft upgrade, plus floor jack and tool kit for maximum drag strip performance. Throw in another $6,995 for lightweight Hennessey wheels with Michelin Pilot Sport Cup 2 as part of the road race pack. You might want to spec your example quickly though, since like any good battle with a possessed soul, they are a rarity with only 100 units set to be produced. The first examples will appear at the upcoming Houston Motor Show. Okay, let me see now…spider-walk down the stairs…”kindly un-do these straps”…William Peter Blatty…cursed sets…”do you know what she did…”…yep, I think that should just about do it. Enjoy The Exorcist video story? Really…? !